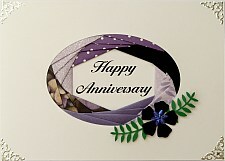 These EXCLUSIVE Die Cut Oval Greetings are pre-printed on 9 x 5.5 cm Ovals all as described below. 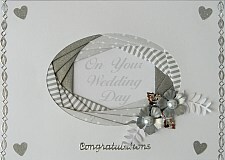 Available on White or Cream Card with a Selection of Greetings in a choice of Print Colours. 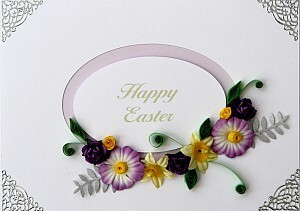 with Quilled Flowers and Leaves, made from our Quilling Papers. 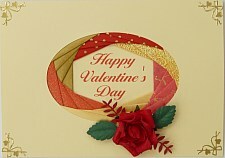 Here is a card we made using our CC404 printed in Red on Cream. Die Cut Plain Oval Backgrounds. 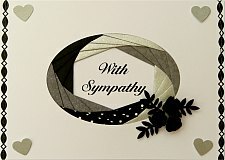 Die Cut Scalloped Oval Backgrounds. Die Cut Plain Oval Pearl Backgrounds. Die Cut Scallop Oval Pearl Backgrounds. 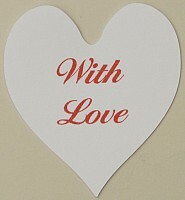 These EXCLUSIVE Die Cut Greetings are pre-printed with Various Greetings all as described below. 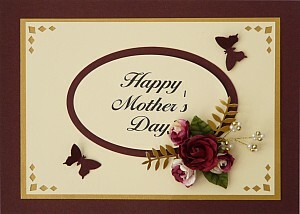 Three White Happy Mother's Day Banners, 9cm, 8cm and 7cm. Three Cream Happy Mother's Day Banners, 9cm, 8cm and 7cm. 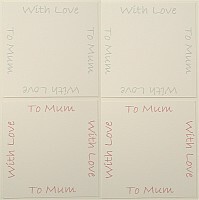 Four White To Mum With Love Panels, 9cm square. 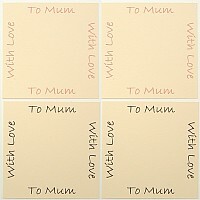 Four Cream To Mum With Love Panels, 9cm square. 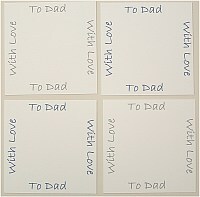 Four White To Dad With Love Panels, 9cm square. 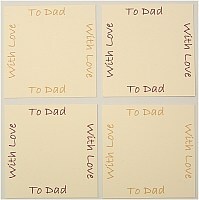 Four Cream To Dad With Love Panels, 9cm square. 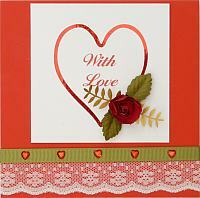 Here is a card we made using our CC405 printed in Red on White along with our AP57S Heart Aperture Panel, which as you can see is a perfect match.